If you are looking for a large platform flat pedal this could be the perfect option for you! 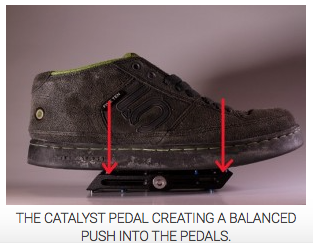 The Catalyst by Pedaling Innovations is huge at 95mm wide x 16mm thick x 143mm long! 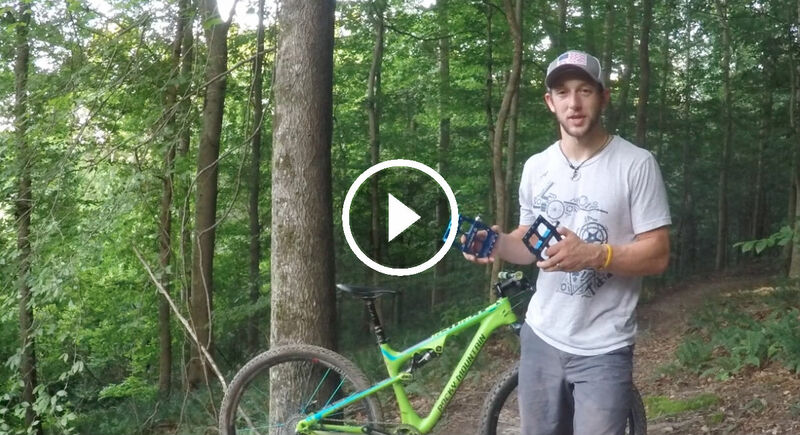 This pedal is perfect for someone looking to change from clipless to flat pedals. Due to its massive size it is slightly heavier (505g) than the industry standard in its price range ($99 with a full money back guarantee). 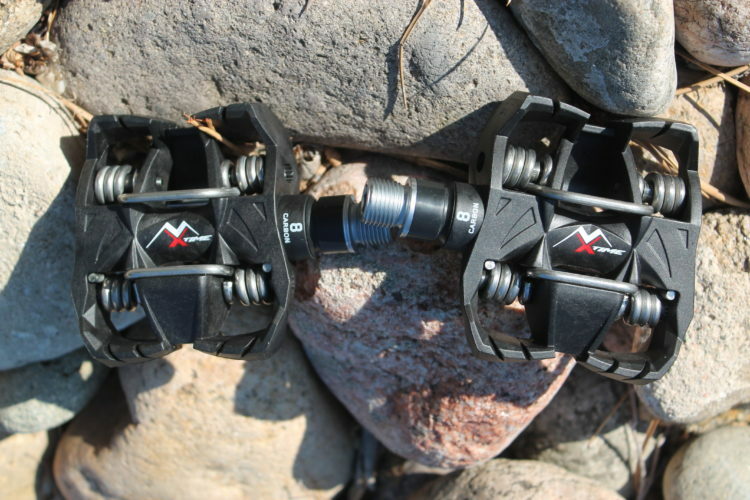 The pedals are made out of 6061 aluminum and are rock solid. They are outfitted with 12 pins per side–five front and back with two between the front and middle axle. 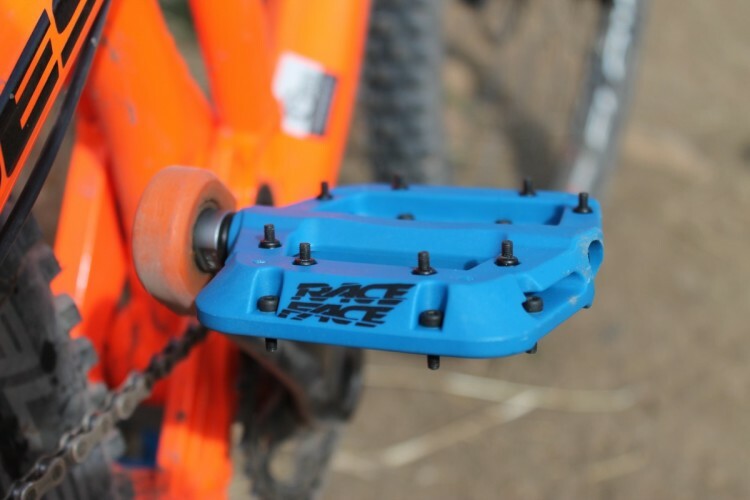 I would really have liked to see more pins (and more aggressive pins) on these pedals. They work well with a good pair of flat shoes but I rode on a few wet days and wished for longer pins to really lock my foot in. Pedaling Innovations claims they have the science to prove that these pedals are “the best pedal on the market period.” They claim that the bigger platform provides more power by better balancing your foot by removing foot flex, increases efficiency by firing the hip muscles in addition to the leg muscles, and provides a more stable, more comfortable ride. 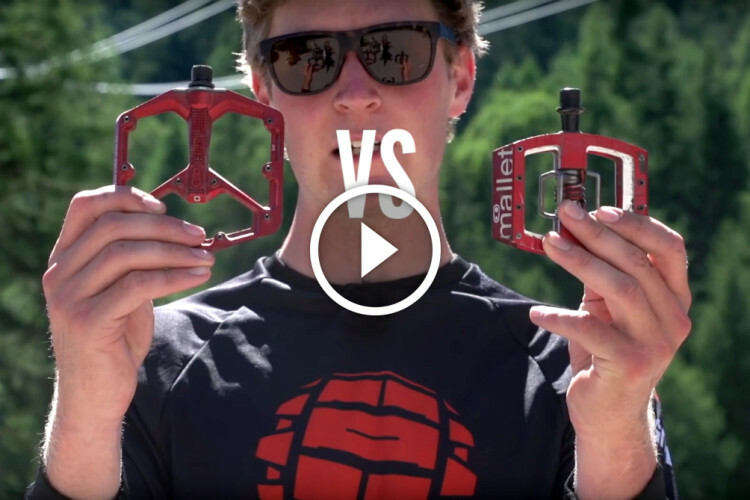 They claim that the added weight is not a factor to be consider because weight is more important to be removed elsewhere, and that the upward pull of clipless pedals is completely unnecessary. I think that this is quite the statement and I would really like to hear if you agree with the science provided on their website. I have been overall happy with these pedals. 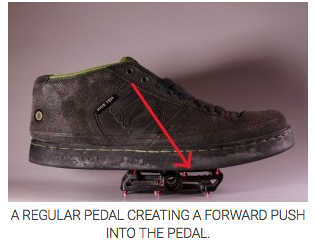 I think that for someone who typically uses clipless pedals these would be a great option to transition to flats and practice those skills. I wear a wide size 14 shoe and I much prefer flat pedals. Ive been using Chromag Scarabs (105 × 110) for a couple months. So far, best pedals I’ve ever used, BUT I am curious about these Cats. 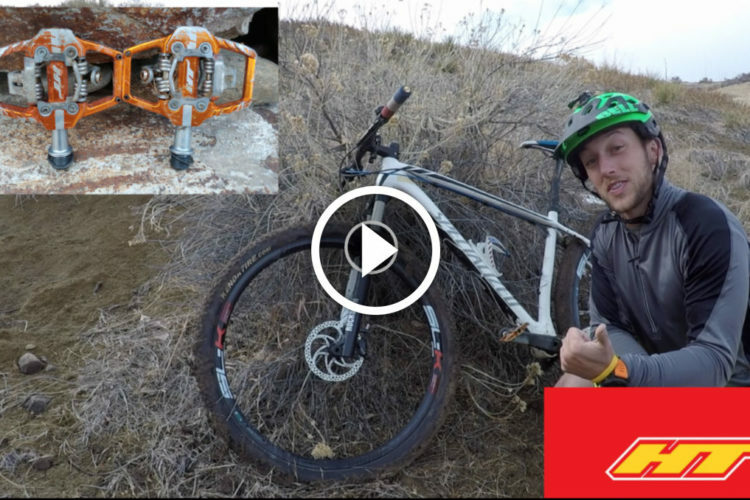 I’ve been riding these for about nine months and they definitely perform as advertised. They do require a slightly different technique when seated mashing is necessary. You use more of a stomping motion. The benefits I’ve seen are significantly less calf fatigue, and I feel like you can tap those muscles towards the end of long rides. 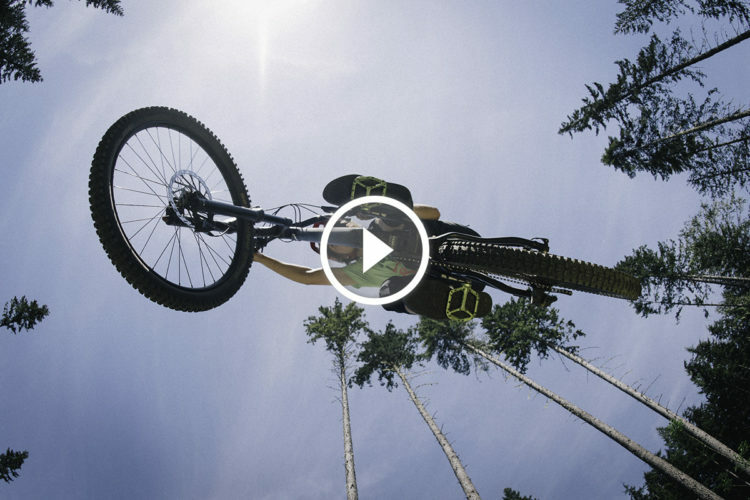 Also the stability riding chunder is excellent. There’s a whole lot of real estate to keep you feet planted.